Xiaomi is often synonymous with incredibly affordable devices, especially when it comes to their smartphone line. Take for example the Mi Band 2, an insanely affordable fitness tracker that comes with all the bells and whistles you need, plus a bit more, and works wonderfully. Though the brand is still emerging in the US, over the next few years we’ll see a great deal more products that are fully embraced in the US. While you can purchase most devices through certain sites that ship to the US, there may be some hindrances like the inability to use 4G. However, we didn’t let that stop us from playing with the new Xiaomi Mi 5S, which surprised us just like the Mi Band 2. Over the past month we played with the Xiaomi Mi 5S in regular everyday use while on FreedomPop’s network. The Xiaomi Mi 5S is most akin to the Samsung Galaxy S7, albeit no removable memory or water resistance, but also comes in at close to half the price. Featuring a slightly modified version of Android Marshmallow, the Mi 5S features a lightning fast processor, high-end camera with incredibly stability sensors, minimal bezels, HD screen, and the latest USB-C port that supports quick charge 3.0. Thanks to the updated Snapdragon 821 quad-core processor, the Xiaomi Mi 5S can handle the most resource intensive apps out there. The only part it had some struggles was with taking photos in low-light environments, but that’s also because the aperture/exposure needed to be open a bit longer. Overall, the boot time was about 26 seconds to get fully up and running. Like our performance tests for the iPhone 7 Plus last month, we used 3DMark Slingshot to test how it can hold up to high-stress applications. On top of that we also threw in AnTuTu’s benchmark, which is a relatively popular way to check Android based smartphone performance. According to 3DMark, the Mi 5S is one of the most powerful phones available and yielded a score of 2602 (one point less than the iPhone 7 Plus). Based on the AnTuTu results, the Mi 5S ranks 6th in performance (148925), which is also compared to the iPhone 7 (172644) and iPhone 7 Plus (170124). Based on the results, the Mi 5S mostly holds up to the iPhone 7, whoops the Galaxy S7, but has a few shortcomings as it may not be as good for gaming. Between the Xiaomi Mi 5S and Mi 5, they interestingly downgraded the camera a bit (16 MP to 12 MP), however, the sensors (IMX378) and processor make up for some of the difference. The image stabilization that was most prominent in the Mi 5 is also removed, but after testing it with both video and images, the phone still held up fine. As for image and filming modes, the Mi 5S sports all the regulars, with at least one addition. The beautify mode will detect how old you are and your gender. It actually got pretty close to my actual age too. Besides detecting details about yourself, it will automatically smooth your skin and make you look a bit slimmer. There are a few other adjustable options on this as well, and the feature is also built into the Mi Messenger. The only real negative with the camera comes down to the low-light experience. Clarity is a bit off, but thanks to the manual mode you can change exposure time, white balance, and anything else you might need to get a better shot. We gave the score a slight ding due to the removal of image stabilization and downgrade from 16 MP to 12 MP. Earlier in August, Google released Android Nougat or Android 7. 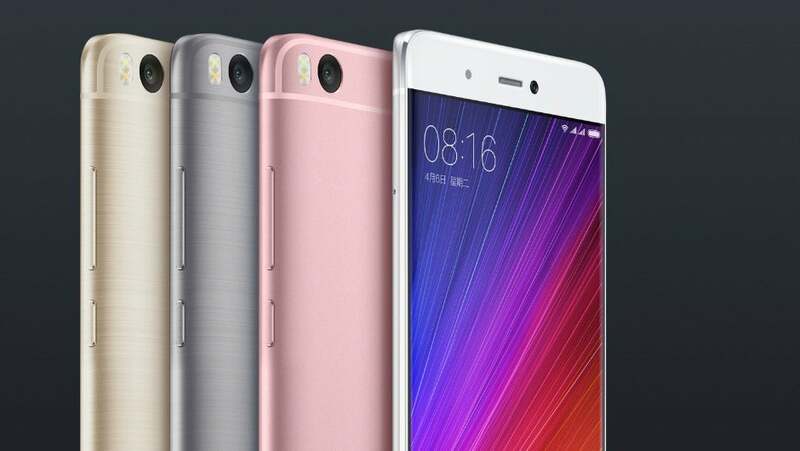 The Mi 5S uses a modified version for the former, Android Marshmallow or Android 6. As a regular iOS user, switching over to the modified version of Android was incredibly easy to use. In a different version of a Mi device, there was also some language issues; however, this particular version works perfectly in the English setting. There are also a few specific apps that come with the phone like Mi Remote, but can also be quickly removed. For the most part the modified version of Marshmallow works great, and between gaming apps, streaming video, and other typical office type apps, the processor powers right through everything. One of the best parts of Android phones are when they include fast charging, and the Mi 5S in particular uses the latest quick charge 3.0. That means within only a few minutes of charging you’ll get about 4 hours worth of talk time. Overall, the Mi 5S battery lasts on par with other top of the line smartphones, and the new processor also helps to save some juice along the way. The Mi 5S goes a bit against the grain when it comes to their flagship phone, this time following more closely to the likes of the new Pixel phone or iPhone with a fingerprint sensor front and center. In previous models you’d typically find the rear fingerprint sensor; however, brands are really starting to blend into a mishmosh of the same. The backing is a superlight aluminum, but the front evidently no longer sports Gorilla Glass 4. There are conflicting reports between Xiaomi’s own website and a few others that sell the phone, but we put the phone through basics (scratch, drop, etc.) and it passed each without issue. This included a light key test, which showed minimal if any scuffing of the glass screen. Unlike the new Pixel phones however, the Mi 5S also sports minimal bezels, which has become synonymous with what Android users typically want from their designs. Unfortunately like other Android manufactures, they no longer support removable batteries or expandable memory. Such is the norm though, so no harm done. 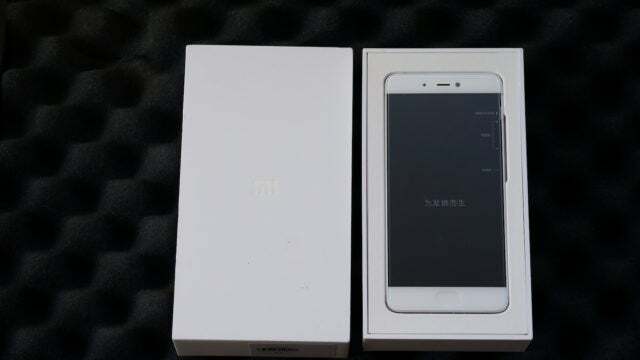 Overall the design makes the Xiaomi Mi 5S a lightweight and durable smartphone, and uses the latest USB-C to both annoy you a bit and future proof it. As far as Android Smartphones go, the Xiaomi Mi 5S is an incredibly affordable, yet powerful smartphone. Because this particular phone is not yet fully supported in the US, that means you can’t get the most juice out of it (lack of 4G or LTE); however, if you travel internationally this would be a great option to keep you online and connected (between the hotspot and dual SIM slots). For those in supported countries, this would make for a great primary phone.